PORTO NACIONAL, Brazil, Jan 16 2018 (IPS) - The railroad can contribute to the economy, making transportation cheaper, but it is unlikely to foment equitable development in and of itself, apart from facing complex construction obstacles in countries like Brazil. The North-South Railway (FNS) is an excellent example. Thirty years after the start of its construction and three years after the central stretch began to operate, its viability is uncertain, even though it runs across an area of expanding soy production, which requires large-scale logistics to export. “It only strengthens agribusiness, it offers nothing to family farms but environmental impacts,” said Messias Vieira Barbosa, one of the coordinators of the Landless Workers’ Movement (MST) in Tocantins, a state in north-central Brazil, crossed from end to end by the FNS. Nor does it benefit the population in general, since it does not provide the passenger transport demanded by a movement to that end, said the activist, a geographer with postgraduate studies on land reform. Tocantins is a new agricultural frontier, where soy accelerates the concentration of land in the hands of a few landowners, in a process that will intensify with the railway, whose primary function is to transport grains to the northern port of Itaqui to be exported across the Atlantic Ocean. But even those who benefit directly complain about this new means of transport. “The freight is still expensive, farmers are not happy because it has not brought down their costs,” complained Mauricio Buffon, president of the Association of Soy and Corn Producers of the State of Tocantins (Aprosoja). 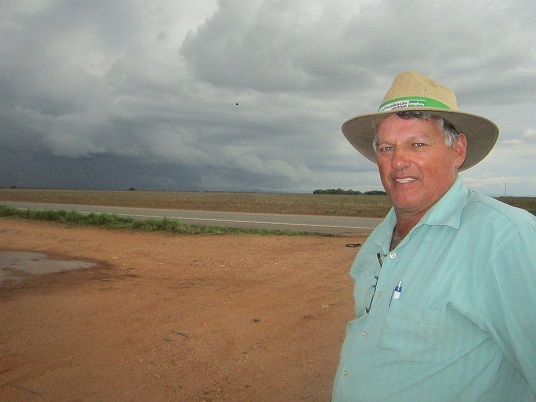 “It is necessary to end the monopoly” of the concessionaire that operates the railway, said the farmer, who moved eight years ago to the city of Porto Nacional from Mato Grosso, the neighbouring state to the west, that produces the most soy and corn in Brazil. “I came here because the land is cheaper,” he explained. Despite this, Tocantins is not producing soy at lower final prices than Mato Grosso, and the railway did not help in that, he lamented. Modifying the existing model or making it more flexible, opening the rails to independent logistics operators, is necessary to boost rail transport in Brazil, currently limited to 25 percent of total cargo, and even to reactivate lines that are now abandoned because the companies that control them are not interested in using them. For the North-South railway, change is indispensable because it is a rail line designed as a “backbone” of the networks in the centre of the country, depending on other lines to deliver their cargo to the port. “From the middle of nowhere to nowhere” would be its route, according to the sarcastic reaction by experts and the press to the announcement of the project by then president José Sarney in 1986. At that time the states that it crossed, Maranhão, Tocantins and Goiás, did not have production levels to justify a railway in any foreseeable future. Soy was a crop almost unknown in those territories. Despite everything, construction began in 1987 and then faltered, with lengthy interruptions, allegations of corruption and decay of stretches already built. But it became a reality along two stretches that total 1,574 km. It seemed destined to become another white elephant among the many megaprojects that have failed in the last ten years in Brazil, but it started to make sense with the agricultural boom, led by soy, in Tocantins and neighbouring states, such as Bahia, Goiás and Maranhão. 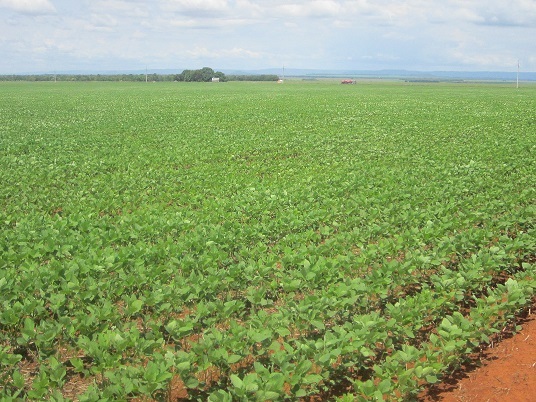 In 1988, Tocantins produced only 47,000 tons of soy, according to the National Supply Company (CONAB) under the Ministry of Agriculture. Twenty years later, by 2008, it climbed to 911,000 tons, and this year the total reached 2.82 million tons. This is little compared to the 30.5 million tons produced in Mato Grosso, whose exports are transported by truck traveling about 2,000 km to Santos Port, to the southeast, or just over 1,000 km north to Miritituba, a river port from where they continue by waterway to the Atlantic Ocean. 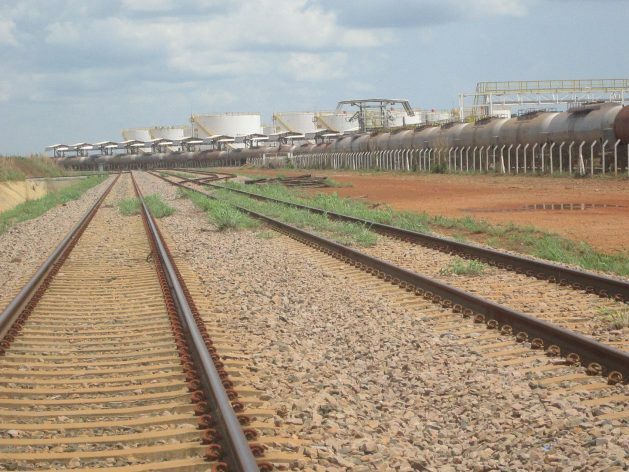 “The current demand (in Tocantins) still does not make the railway financially viable,” but having that infrastructure promotes new productive investments; it depends on how it is managed, said Lilian Bracarense, a professor at the Federal University of Tocantins (UFT) who has a PhD in transport. Milton Cavichioli Junior, business manager of Granol’s industrial plant in Porto Nacional, estimates the savings made possible with the FNS at 20 percent. That is why the company exports soy bran by train and uses trucks only when there is an express delivery. Granol can be an important user of the FNS because it has another plant in Anapolis, next to the rails, and demands double-track railway, since it buys grains and sells bran and biodiesel, he said. The logistics in Porto Nacional have an additional cost for those who cross the Tocantins River to transport their products to the railway on the left bank. The bridge built in 1979 withstands only 30 tons. Today’s large trucks, which carry more than twice that weight, have to go over a sturdier bridge in Palmas, the capital of Tocantins, 60 km away. “A new bridge will be built in 2018 and will be completed in 1,000 days,” said Olimpio Mascarenhas, secretary of Production and Development in the Porto Nacional city government. “What increases costs is not the distance, but crossing Palmas in limited hours and at the risk of fines,” complained Elio Rossato, who together with two brothers has grown more than 6,000 hectares of soy on lands that they own or lease, 20 km from the city of Porto Nacional, for the past five years. The brothers, who migrated from the extreme south of Brazil, lived for 15 years in the state of Bahia, east of Tocantins. “We used to suffer there, without roads or electricity; this is the best place in the world,” he said, praising the roads and the railroad that are now available. But he pointed out obstacles to growing soy in the low-lying state of Tocantins, about 260 m above sea level in average, which is less than the ideal altitude that soy needs, and the presence of nematodes or roundworms, a disease still without proven remedy. Solutions may be on the way, as five agricultural research companies are carrying out studies in Porto Nacional and will be able to overcome these problems and diversify production, especially of fruit, he said. And according to Mascarenhas, the future of the municipality is promising, because it has a great deal of land for agricultural expansion, water to irrigate three crops a year, people trained by three local universities and ideal logistics, with railways, an airport and roads within a radius of 60 km. But Tocantins will not be “another Mato Grosso”, where soy dominated the countryside, displacing peasants and food production. “Here family agriculture is still resisting: 520 agrarian settlements were created with 28,448 families, from 1987 to 2015,” said Messias Barbosa. “It depends on public policies to diversify the economy, which are still timid,” argued Thiago de Oliveira, who has a PhD in Regional Development from the UFT. He pointed out that the Belém-Brasilia highway, inaugurated in 1960, dictated the direction taken by Tocantins, with landowners taking over land and displacing peasants to the cities.